The Gospel of John Chapter 18 of records the story of Jesus' betrayal, his resulting arrest and trials by Annas and the Roman governor Pilate, and the heartbreaking denials of the Apostle Peter that he knew him. Answer the questions below from the Gospel of John, Chapter 18. You can download these questions to study on your own or with a partner if you like. If you want us to email the daily questions, just complete the form below. You will get 6 emails with the questions for each day. A seventh email will allow you to compare your answers and take you to Chapter 19. Click here to download a workbook. 3. What does verse 4 tell you about Jesus Christ? 1. In verses 5 through 7 Jesus twice asks the mob “who is it you want?” The mob replies both times “Jesus of Nazareth.” Jesus’ response to both replies was “I am he.” What possible reasons are there for the mob falling back after the first response? 2. What do you think might have been going through the minds of the mob when Jesus asked them a second time “Who is it you want” in verse 7? 3. What scripture is verse 9 referring to and what does it say about Judas Iscariot? 2. What do verses 22 and 28 tell us about the Jewish authorities? 3. From reading verses 28 through 31, why did the Jews bring Jesus to Pilate, the Roman Governor? 2. Verse 32 says Jesus prophesied about the kind of death he would die. What verse is it where we see this prophecy recorded? 3. What do we learn about Jesus’ kingdom from verses 36 and 37? 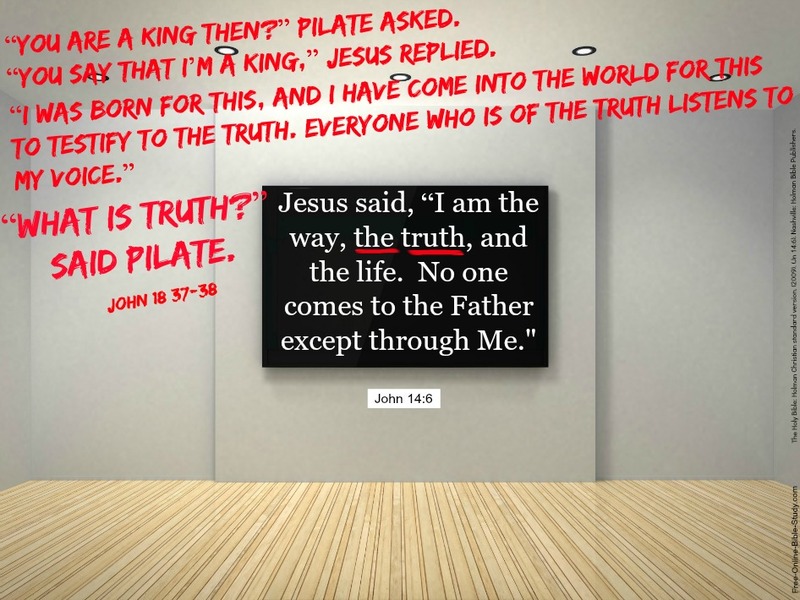 What do verses 39 and 40 say about the Jews who petitioned Pilate?